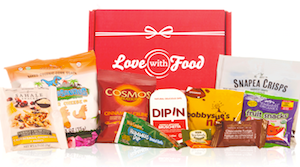 Home > Community > Contests & Winners > Gluten-Free > Sneak Peek > Want To Know What’s Inside The Love With Food November ’15 Box? It’s about that time of year when everyone starts thinking about what they’re thankful for – which obviously means everyone is thinking about snacks, right? 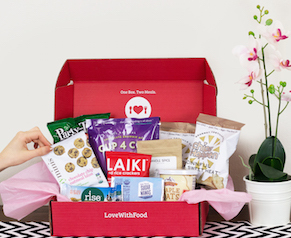 Love With Food’s November Thank-Full box has all the snacks you’ll need to make this Turkey Day one that the whole family will remember. Our resident snack experts KC the G-Free Foodie and Minnie are here to prove it with a peek at just a few of the scrumptious goodies you have to look forward to. Check it out below! The winner for last month’s Touchdown Treats question is… Candace P! Congrats, you’ve got a special box coming your way! How To Be Our December Winner? To be our December winner, tell us in the Facebook comment what you’re most thankful for this Thanksgiving. Click here to add your comment to the video now. The best answer wins a special box!